My pink-loving sister-in-law is having a baby girl in June. When I say she’s pink-loving, note that that is a dire understatement. I mean, she loves pink. Pink on pink on pink with an accent of pink is her signature style. 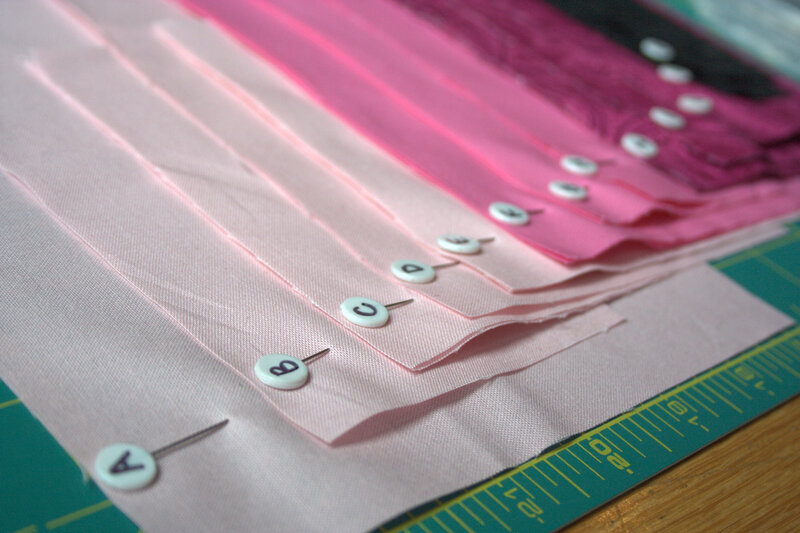 As a long-time pink avoider who is just recently embracing the joy that pink conveys, I am planning to work a *little* out of my comfort zone for the sake of making a quilt for her baby girl that she will love. 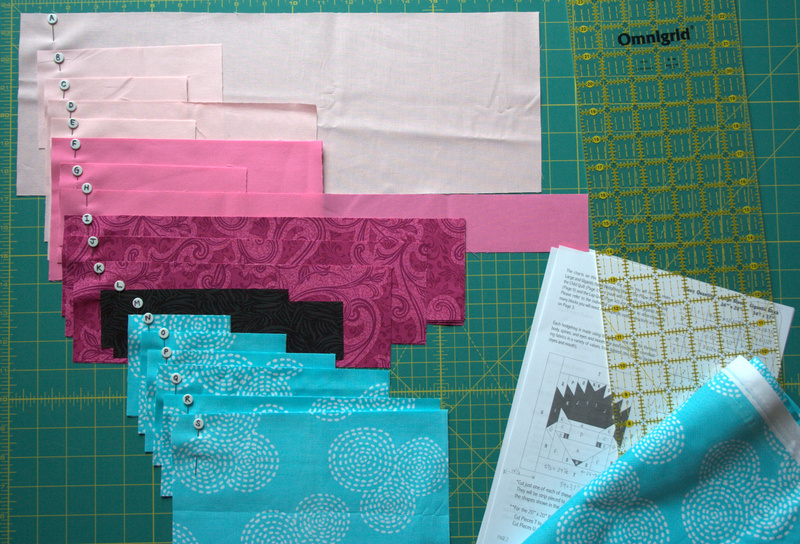 I’m making a pinkalicious Hazel Hedgehog baby quilt, with one giant sized super-pink Hazel. Hazel will be completely pink, with the lightest pink for her face, the bright pink her body, and the swirly magenta-pink as hair. The majority of you who commented on my last blog post about this project voted for the grey face and body and pink hair. As much as I think the grey face and body would look awesome, too, I just didn’t feel like the resulting giant grey-bodied Hazel would be pinkalicious enough for my sister-in-law. So pink it is. The turquoise Stitch Circle by Michael Miller will be the background, and my aesthetic anchor. I have to admit, I’m quite excited! My sister-in-law’s baby shower is this coming weekend, which means I’m giving myself a typical time-squeeze goal of completing the quilt top before her shower. This is also my ALYoF goal for April, so it’s a good thing I’m finally getting started on it! So far I’ve finished cutting for Hazel and her immediate background, which finally gave me a great opportunity to use the numbered pins my husband got for me for Christmas. 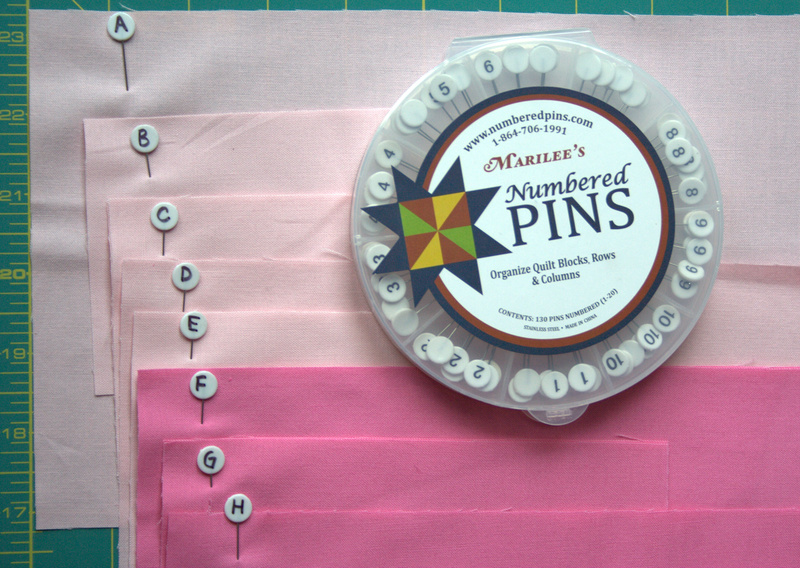 They are called Marilee’s Numbered Q-Pins (*Amazon affiliate link) and are super useful. They can also be purchased from the Quilting Pins website, and you can visit them on Facebook. 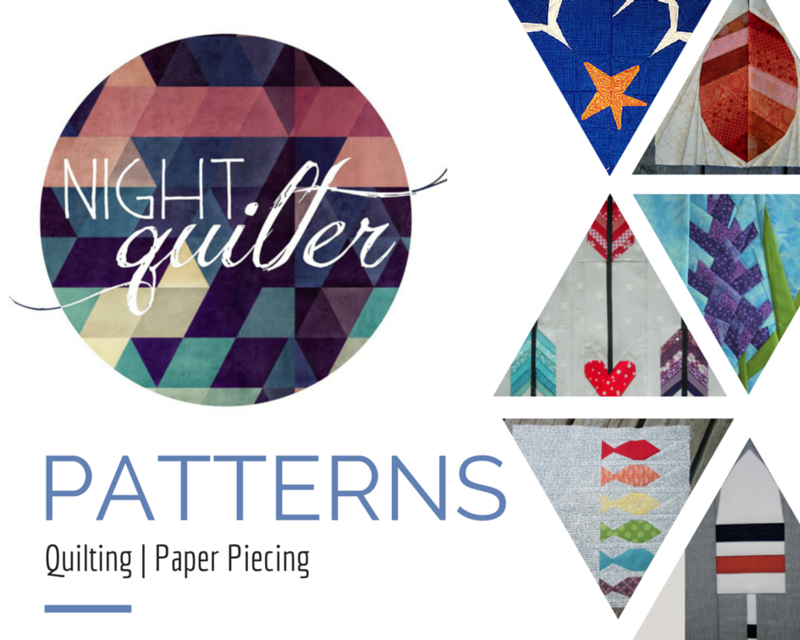 (Tell them Kitty aka Night Quilter sent you!) I took the advice of the little sticker on the back of the pins that suggested customizing the backs with letters, colors, etc. if more than numbers were needed. Elizabeth Hartman’s Hazel Hedgehog pattern clearly lays out the cutting and piecing instructions with letters, so the pins were perfect for keeping track of pieces. With 20 numbered pins, I was able to create letters enough for all the Hazel pieces, while letting the letters correspond to the numbers (1 = A, 2 = B, etc.). This lets my OCD side rest easy knowing that my letters will be as easily organized and found as the numbers. I also did a TINY bit of fabric buying for this project, so I’ll show you another addition to my stash. 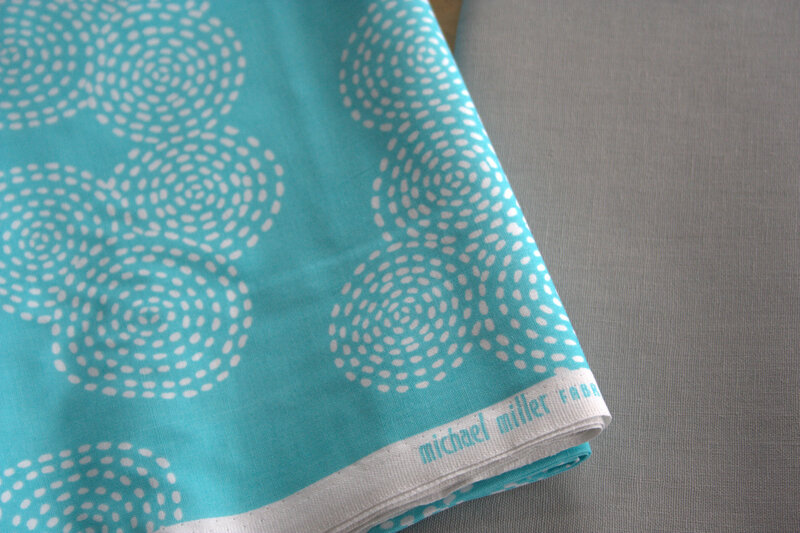 While auditioning fabrics, nothing worked better for the background than the little scrap of this Michael Miller Stitch Circle I had remaining from a previous project. I scoured local shops and the internet and finally found some at FreshStash on Etsy. I ordered the 1.5 yards needed for this project, and added in 1 yard of Essex Linen Blend in Smoke. I love the look of stacked fabric! I’m hopeful that since this Hazel is ginormous, it will be quick to piece. Quilt top in a week: totally doable, right? 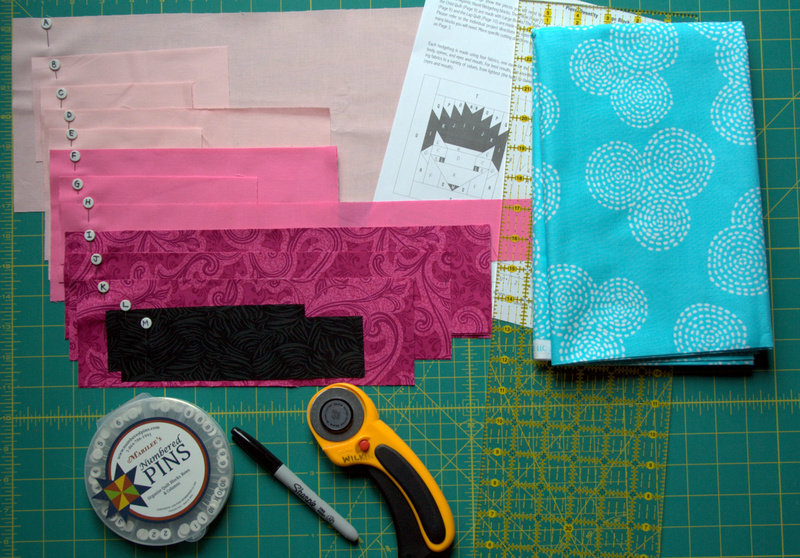 I’m linking up with Monday Makers, Design Wall, and Molli Sparkles’ Sunday Stash! Wow, that’s a lot of pink! I think it is totally doable. If it was me, putting large pieces together would motivate me to finish it quickly because even two or three pieces sewn together make the quilt look like you work really hard and you are almost half way through LOLL Don’t misunderstand me, I am not saying you dont work hard, but, you know what I am trying to say. I would pat myself on the back 🙂 The colour combo looks absolutely fantastic and I am looking forward to seeing the finished quilt top! Thank you for linking up with me for Monday Makers! at Hug-a-Bit Quilts! 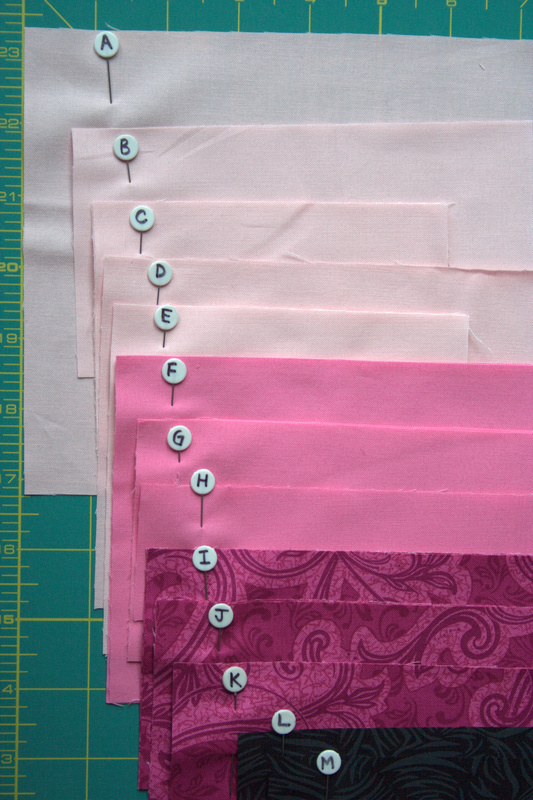 I do like the different colour pinks- totally doable – you’ll be surprised how quickly the piecing will be. Longest part for me was deciding on the quilting! This is going to be so cute with these colors! I have mixed feelings about pink, I tend to gravitate to it over other colors when I’m at the store but it’s usually cause it’s the color I prefer over the other options not cause it’s the color I prefer. That smoke is beautiful too, I’ve been using a bit of Essex linen lately but it’s bee the yarn dyed which creates a totally different texture. 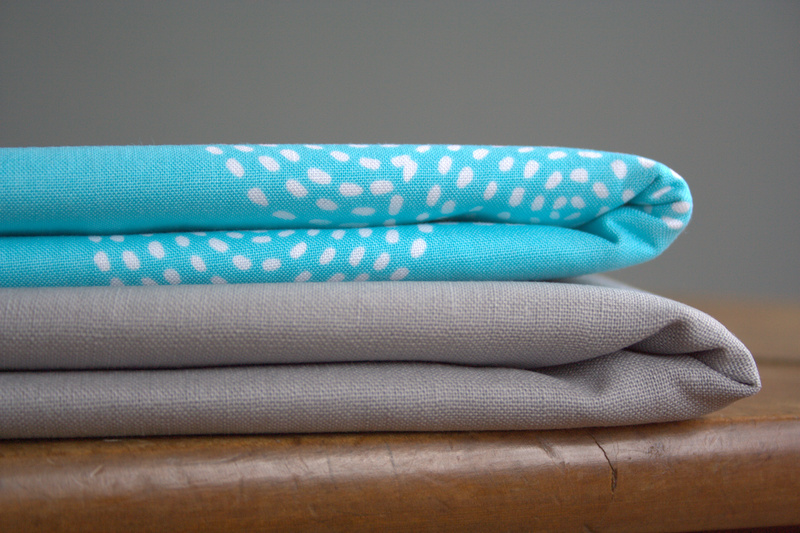 I hear you on lovin’ stacked fabric. I can’t resist taking those pics either. And those numbered pins look very handy! Love your color combo, looking forward to seeing it finished. I just made the pillow last weekend. Your neumbered pins are a great discovery, thanks. Such easy to follow pattern with easy directions and I am a newbie!